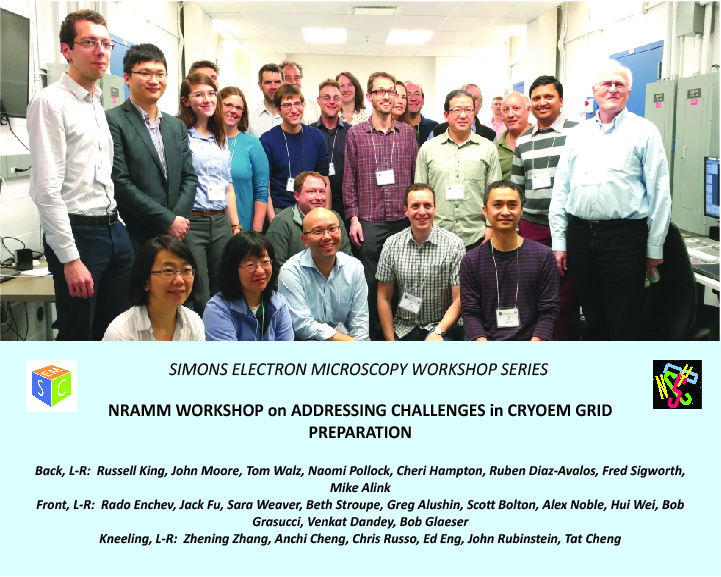 This workshop was held in April at SEMC and addressed challenges in preparing vitrified specimens of suitable ice thickness, and suitable particle preservation, distribution, and orientation, in a repeatable, reliable and robust manner. A major goal of the workshop was to understand the issues underlying these challenges and discuss new approaches that will lead to improvements in all of these aspects. We thank TTP Labtech Ltd. for generous financial support for this workshop. Is there hope for a standardized protocol for EM?